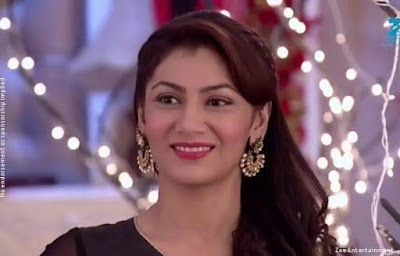 Entertainment Zee World Movies Zeeworld: Wednesday November 7th update on "Twist of Fate season 2"
Zeeworld: Wednesday November 7th update on "Twist of Fate season 2"
Abhi and Pragya are seen getting romantic while fire is around them. Raj tells Dadi that he called fire brigade. Dadi says Abhi and Pragya haven’t come back. Dasi says he is a rockstar and will save Pragya. Dadi says Abhi ran to save Pragya, even though he doesn’t know that she is his wife. Reporter covers news about the fire at Mehra house, and Abhi jumping in the fire to save Pragya. Abhi does poetry about fire. Pragya asks how to go out from here. Abhi says window and tries to open the window, but couldn’t. He feels suffocated and falls. Pragya gets tensed. Tanu tells Aaliya that Abhi went to save Pragya, and says her destiny is bad. Aaliya says we could have done proper planning and stopped Abhi from going there. Mitali says she is right. Tanu says if I will get trapped then you will also be trapped. She asks why didn’t you stop me. Mitali asks what? Aaliya asks them to shut up and says media will listen. Abhi faints. Pragya asks him to open his eyes and cries asking for help. She recalls giving CPR to him before and thinks to give her breath to him. She gives him mouth to mouth respiration and pumps his heart. Abhi gains consciousness. Pragya thanks God and says you lost consciousness. Abhi says I came here to save your life and my life. If anything would have happened to you then what I would have been alone. Pragya thinks destiny brings them together. He asks her not to leave her hand. Pragya rests her head on her shoulder. Dadi tells that Sarla is calling and thinks what to answer. Dasi asks her not to answer her call till Abhi saves Pragya. Fire brigade comes. Raj asks them to save Abhi and Pragya. They go towards the kitchen. Tanu hopes pragya is dead. Abhi calls Pragya. Pragya says haan ji. Abhi says when you say haan ji, I feel like you are my wife. Pragya says yes, I am your wife silently. Fire Brigade guys ask Raj to go out. Abhi and Pragya faints. The fire brigade guys come near the kitchen and assume that the kitchen caught fire due to petrol or diesel. They bring fire extinguisher and set off the fire. They look on. Dadi worries that they haven’t come till now. Taya ji says they must be fine, don’t worry. The fire extinguisher guys bring unconscious Abhi and Pragya out. They were still holding hands. They make them wear oxygen masks. Tanu is angry. Aaliya is relieved seeing Abhi fine. Dadi cries and asks what happened to them. Fire extinguisher guy tells that they are unconscious as the smoke went into their lungs. Dasi says they are still holding each other hands and haven’t left each other even in this time. Dadi says they will never leave each other. Abhi and Pragya gain consciousness. Everyone smiles. Abhi sees Pragya and asks are you fine? Pragya says haan ji and asks are you fine? Abhi says yes. Abhi waking up in his room. Dadi asks Dasi to give water and asks Abhi what happened to him. Abhi says he saw what happened yesterday and says Pragya gave him breath and revived him. Dasi asks him not to make Pragya go far from him. Abhi asks where is Pragya? Dadi says she is in guest room. Abhi asks her to go and check Pragya, if she is fine. Dadi tells Dasi that she would have told Abhi that he shall have relation with Pragya and marry her. Dasi says I kept silent knowing about his health. till 3 and then will throw water. Pragya gets up asking him not to throw water. Water falls down on the bed. Abhi laughs. Pragya says I would have drenched. They argue. Pragya says you came there and got trapped in fire too. Abhi says if I was happy to caught in fire. He says when I fainted, you could have gone from there. Pragya says how could I leave you in trouble. Abhi says hum aapke hain kaun….Pragya says even I can ask same question and says hum aapke hain kaun. Abhi says we shall let this question go, and says this room, feather and kurti which you are wearing is mine. He says my next question is, what you have done to bring my breath back, says what you would have done to save my life. Pragya says I forgot. Abhi thanks her. Pragya says you have fulfilled my wish. Abhi asks what? She falls over him and shouts. Abi says fan is dirty and thinks to scold Robin. He makes air bubbles with bubbles gun. Allah wariyan plays……Pragya asks why you are tickling me. Abhi says it is phone call. He attends phone and tells that Doctor called him to inform about Purab. Pan wala identifies Nikhil to be the person who hit Purab. Nikhil runs and sits in his car. Panwala asks someone to call Police. Nikhil thinks he is trapped as he escapes. Pragya sees Tanu lighting the candle and comes to her. Tanu gets shocked and asks why she is scared her, if she have burn? Pragya says she spoke to fire brigade and they inform her that somebody tried to burn and kill her. Tanu says I have many work to do. Aaliya asks Tanu what she was saying? Tanu says she was doubtful about the fire. Aaliya says I asked you to keep quiet for sometime and says your troubles will start now. She asks her to make plan with her boyfriend. She says if Purab would have been here then he would have made Abhi realize that Pragya is important in his life.Doctor informs Abhi that Purab is now out of danger and if he wants then he can take him home. Abhi says he will take him home. Nikhil thinking Tanu have rejected his call and comes home to meet her. Tanu asks why did you come here? Nikhil says he is in trouble. They hide. Dasi and Dadi come there. Dasi senses someone is there and checks, but Nikhil and Tanu hides. Tanu takes him to room and asks why did you come here? Nikhil says I am trapped and tells everything that panwala identified him. Tanu gets shocked. Nikhil tells that if Purab gains consciousness then nobody can save him. Tanu tells him that even she is trapped as Pragya is doubting her for fire accident. Nikhil laughs. comes and gets happy seeing Purab. Abhi says Doctor said that Purab is out of danger and is recovering. He said I can take him home and can take care of him. Taya ji says there are so many nurses in the hospital who can take care of him. Abhi says he will take care of him. Dasi says he will be fine hearing my jokes. Abhi laughs and asks her not to crack some particular joke. Everyone laughs. Tanu comes and sees Purab, gets shocked. Abhi asks if she is not happy? Tanu says she is very happy and don’t know what to say. Abhi says I was thinking where to keep him. Dadi says guest room. Pragya says everyone stays in upstairs room and if he needs anything then…..Abhi says we will give Aaliya’s room to Purab. Aaliya says she don’t have any objection. Tanu thinks Nikhil is there and tells him that she has an objection. She tells that even she stays in Aaliya’s room. Abhi asks Tanu formally if she can give her room to Purab. Tanu says she has recently set her wardrobe.